It's been a busy week! The remodel on the nurse's station at work has finished, and we got to move into our work area, that's been freshly painted and carpeted. It's so nice and big, and just way prettier than our old set up. 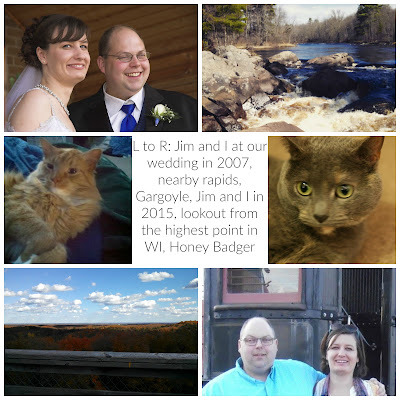 :) I've also been reading a lot, sewing, going for bike rides, and just trying to enjoy Wisconsin summer. For the first time, I'm joining in The Weekly Round-Up, which is hosted by the lovely Miss Angie of My So Called Chaos and awesome Aubrey of High-Heeled Love. Basically, it's just a collection of some of the blog articles I've read this week, that I think you should check out. So let's take a look, shall we? Like to travel? Just Bee started a series about her month in Cambodia and her first post on the Angkor Wat Temples is pretty neat. It sounds like it was a journey just to get to them. I can't wait to hear more! 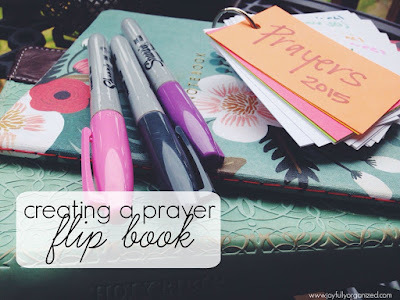 Joyfully Organized is a blog that's new to me, and while going through some of her older posts, I found this one for Creating a Prayer Flip Book. As a lover a cute paper and crafty things, and as someone who is trying to be more diligent about praying for the people in my life, I think I have to try this one! For all you bloggers out there, Kyla Roma has some great advice about blog design in her post Don't Let Your Blog Design Sabatoge Your Success. It's full or relevant information for both old and new bloggers. 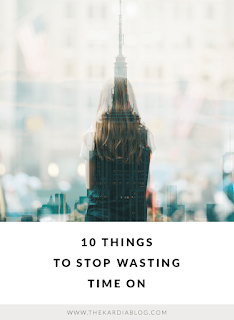 The Kardia shared a great article called 10 Things to Stop Wasting Time On. 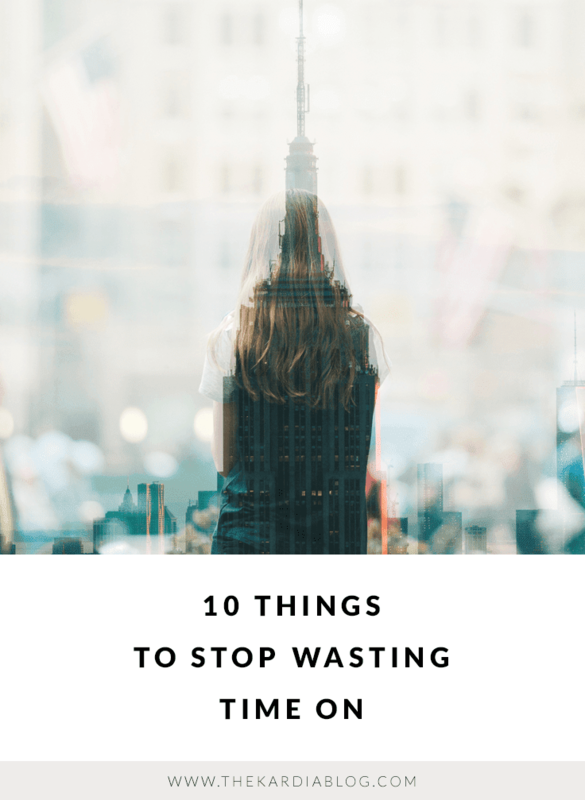 And she's not calling you out on your Netflix binges (which you already know is wasting your time), she's talking about things you probably don't even realize. Image used from and with permission of The Kardia. Miss Angie is buying a house and looking to downsize, so stop by her Virtual Yard Sale and see if there's anything you need. She'll be adding new items in the coming weeks, so keep checking back. And finally, don't forget my Two Year Blogiversary Giveaway is still going on for a few more days, so if you haven't entered yet, hurry up and enter! I've got a bunch of my favorite things up for grabs, all wrapped up in one fabulous prize pack! Oh! And head to the link up so see find more great posts! Thanks so much for featuring me! Also, I love Just Bee's travel posts too! I just loved your idea. :) I finally made mine two days ago. Thanks so much for featuring me! 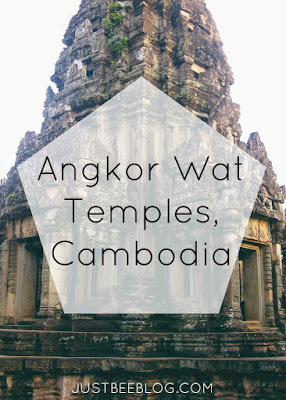 :) You shared some amazing links! Thank you! Local Flavors Swap is Open! Chaotic Goddess' Favorite Color Reveal! Chair in the Shade is Turning Two!